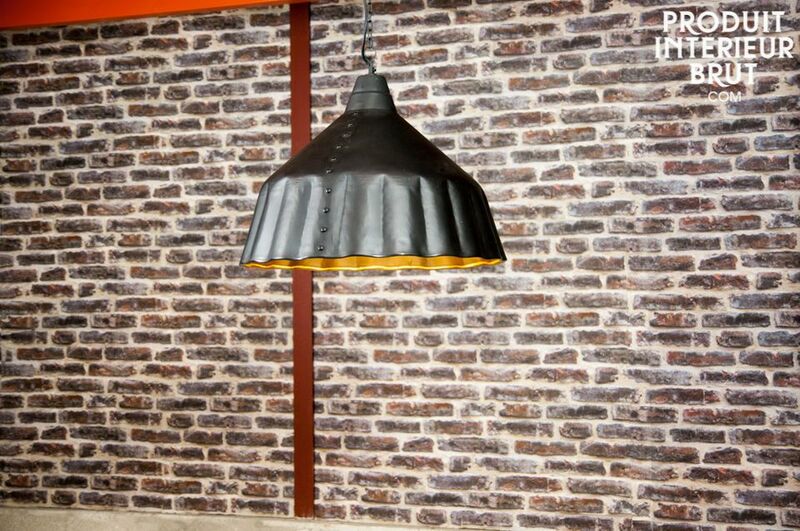 A Large light that adds a touch of magic to the industrial style. 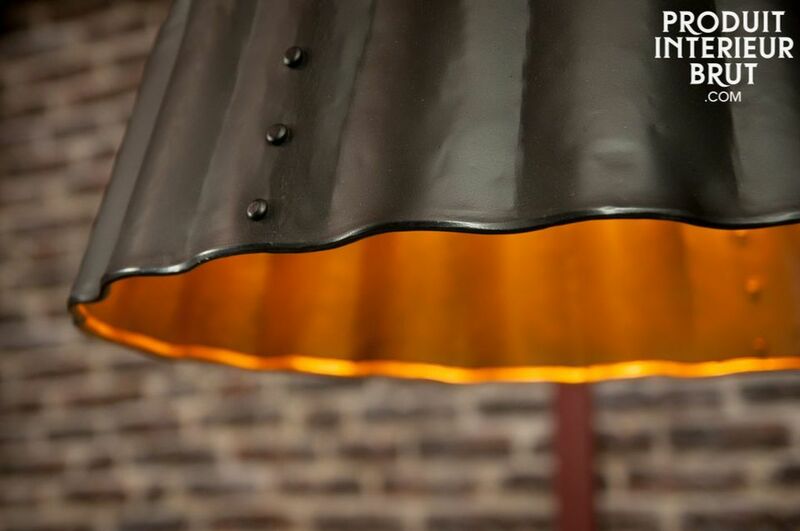 From this is kept the mat black color and the fixation with a metal chain, but the golden finish from the inside and the graceful ripples of the lampshade make an atypical model, almost magical. 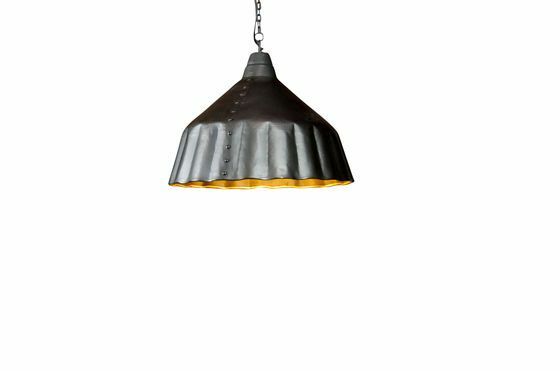 A large diameter lamp to be placed above a dining table or in the center of a room with a high ceiling. 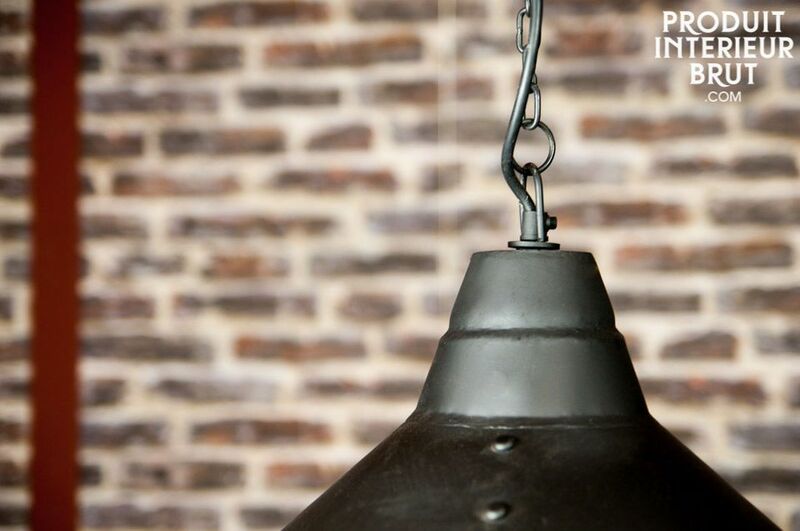 If we can easily imagine the Giant Cannel hanging light in a vintage universe, it also finds its place in contemporary decor where its gilded interior will match with modern design furniture. Works with a standard light screw bulb, type E27.